Intel’s new 28-core Xeon W-3175X is a beast of a processor. It’s a chip that’s meant for the most serious of workloads, and that means lots of memory would be helpful. Leave it to G.SKILL to give us an absolute lust-worthy memory kit on day 1, with its beautiful Trident Z Royal DIMMs. This memory doesn’t just look good, it has genuinely satisfying specifications. 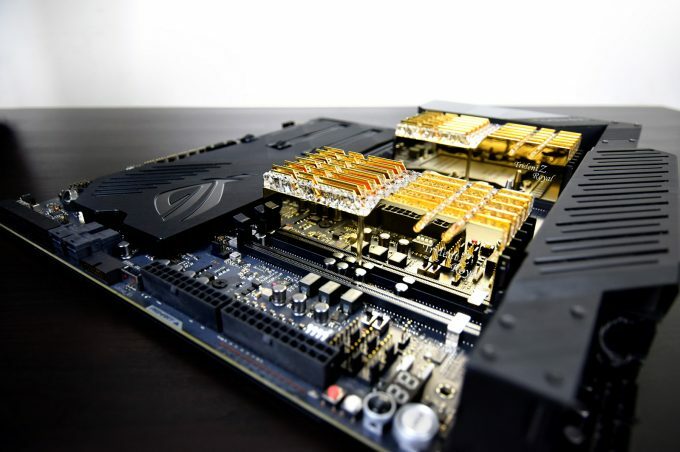 Catering to a six-channel controller, these 12 sticks will popular boards such as ASUS’ Dominus Extreme, delivering a staggering 192GB of memory at DDR4-4000 speeds. Even the timings are respectable, at 17-18-18-38. According to G.SKILL, the 96GB version of this kit (8GBx12) offered in this series will push about 122GB/s read in AIDA64’s benchmark, as well as 113GB/s write. 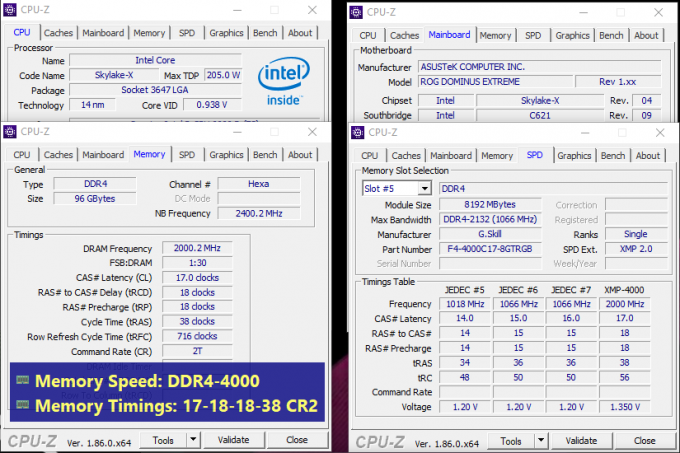 For comparison, the 32GB quad-channel 3200MHz kit of G.SKILL in our current Ryzen Threadripper 2990WX test PC hits 94GB/s read and 99GB/s write in the same test. So, you don’t stand to gain immensely over a 3200MHz kit, but to get this kind of bandwidth with 192GB on tap is impressive. G.SKILL is offering a number of SKUs in this series, with the DDR4-4000 kit coming in 8GBx6, 8GBx12, and 16GBx12 configurations. DDR4-3600 and 3200 kits are also being made available, also with configurations at up to 192GB. The minimum amount of memory offered by any one of these kits is 48GB, which itself would seem impressive to the majority of desktop users out there. Pricing has not been revealed yet, but G.SKILL says the kits will soon start hitting etailers around the globe.